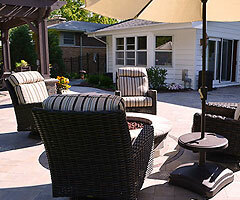 This West Chicago Landscaping Patio Project required the replacement of an elevated wood deck. 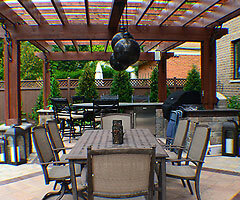 The client wanted to keep the patio about the same size as the wood deck and establish a table setting and fire pit area. 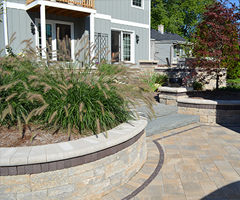 Due to the elevation changes between the residence, patio, and natural grade outside of the patio, stone steps were used to connect these areas. 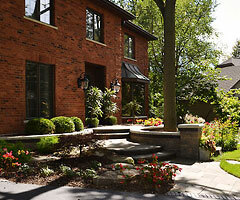 To compliment the wooded yard, soil berms were made outside of the patio with plantings and stone terracing.